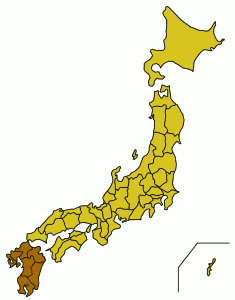 Kyūshū (Japanese: 九州) is one of Japan's four main islands. It is the most southern of the main islands. Kyūshū Facts for Kids. Kiddle Encyclopedia.